We are a full-service HVAC and plumbing company with over 45 years of experience. 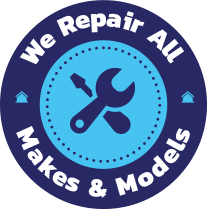 Our team can handle any job - from emergency repairs to new installations. Contact the Air Control Family! We'll respond by 10am the next business day. Please call for immediate service! A commitment to excellence backed by knowledgeable technicians with the best technology on the market. 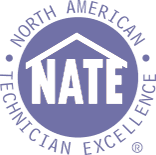 We’re also proud to be a certified dealer for a leading HVAC manufacturer—Trane. We have great technicians to back this quality equipment, too. All our technicians are Building Performance Institute (BPI) Analysts and NATE-certified. 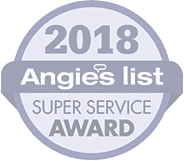 Whether you need heating, air conditioning or plumbing services in the Mohave County area, you can trust the technicians at Air Control Home Services. 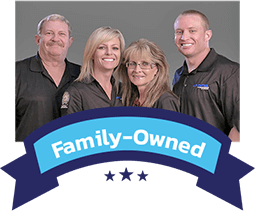 Family owned and operated since 1990. Contact our team today for the best air conditioning, heating, and plumbing services in Mohave County. Home Comfort Made Easy. We change our coupons on a regular basis, so check back for the latest discounts and promos. Very knowledgeable and professional. Spent quite a bit of time cleaning our coils, ect....even though it was over 100 degrees out. He still had a smile on his face once he was finished. Very happy with Air Control services and pricing. Your HVAC system is an intricate piece of equipment that you've invested a lot of money in. Let our professional team provide you with quality biannual services. We offer complete heating and air conditioning services for your home here in Western Arizona. We train our technicians to provide you with the best services alongside the best deals. You’ll never have to worry about being upsold or led astray. 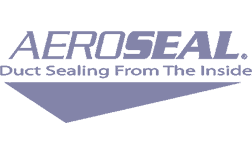 We pride ourselves on our integrity, honesty, and great relationships with our customers. Are you interested in heating and cooling your home or garage with one unique, efficient system? Then a ductless mini split may be what you’re looking for. Not only are these systems heat pumps, but they heat and cool homes without the need for using ductwork! That takes efficiency even further, eliminating the risk of duct leaks that can lead to higher operating costs and reduced indoor air quality. 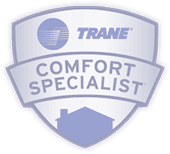 We are certified Trane Comfort Specialists, and recommend the use of a Trane ductless mini split in many situations. When you’re in need of a plumbing fix, you want a team that’s going to act fast while still providing you with quality. Luckily, we can do both here at Air Control Home Services. The hard water here in Mohave County can really put your plumbing system to the test, so we have the best installation, maintenance, and repair services. Call our Mohave County plumbers today to get started. 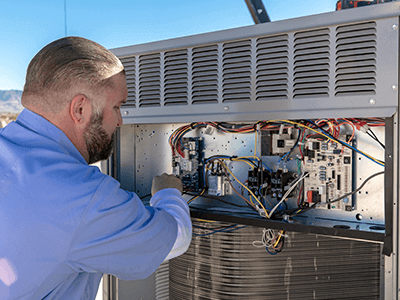 Routine maintenance is the only way to ensure that the HVAC systems in your home remain functional throughout their lifespan. Annual tune-ups also keep your energy costs low and prevent you from having a nasty breakdown. You can join our Comfort Club to make sure you’re always getting the most from your HVAC system. Stay tuned for regular articles about tutorials, local events, and trends in the industry. Old, manual thermostats have been replaced by WiFi-connected, smart thermostats, allowing homeowners to take full control over their heating and cooling systems.